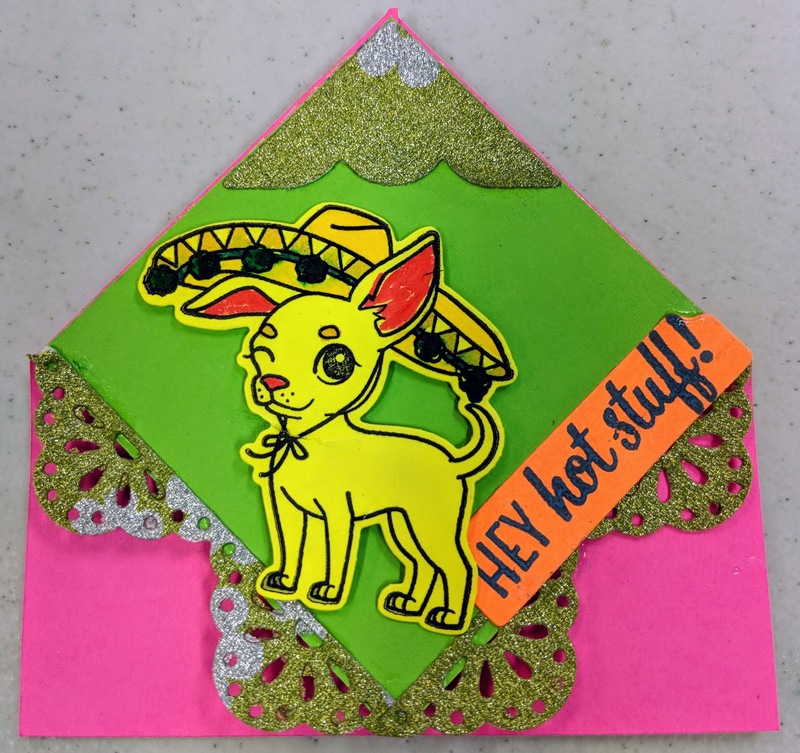 For this post, I decided to use some previous die cuts and make some bookmarks for my childten teachers with a Fiesta Theme... here in San Antonio, April is Fiesta time. 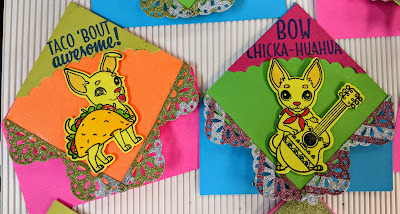 In short: I cut squares of cardstock 4x4 in and scored a dot in the middle on 3 sides. Then scored diagonal between two sides and the other corner. I bent the scored corners toward the center to get a triangle sized pocket. 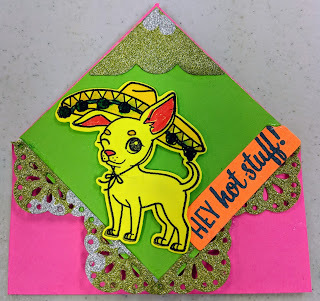 Then, I cut a 2 3/4" x 2 3/4" square of another bright color and glued it in top of pocket. I made several bookmarks exchanging the color randomly. I stamped and die cut the Chihuahuas from Hero Arts and color then using Jane Davenport inks. I also cut many tabs using the Teresa Collins dies, Craftwell. 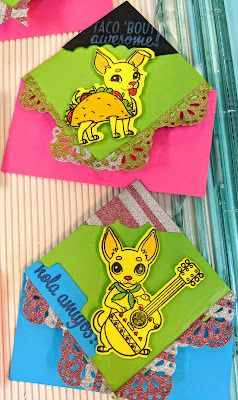 Then, I stamped some sentiments on those tags and some negative cuts from a different project. To embellish the bookmarks, I cut some banner borders (Hero Arts) and corners (Craftwell) from glitter papers. 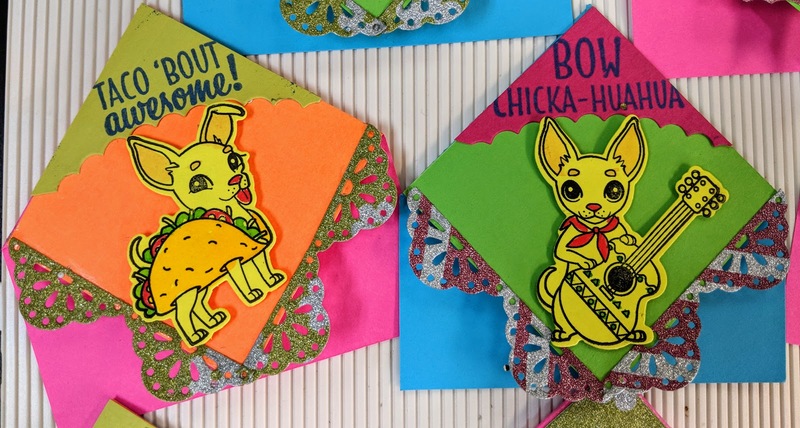 In this last bookmark, you can see how nice the sentiment fits in this cute tags die cuts. 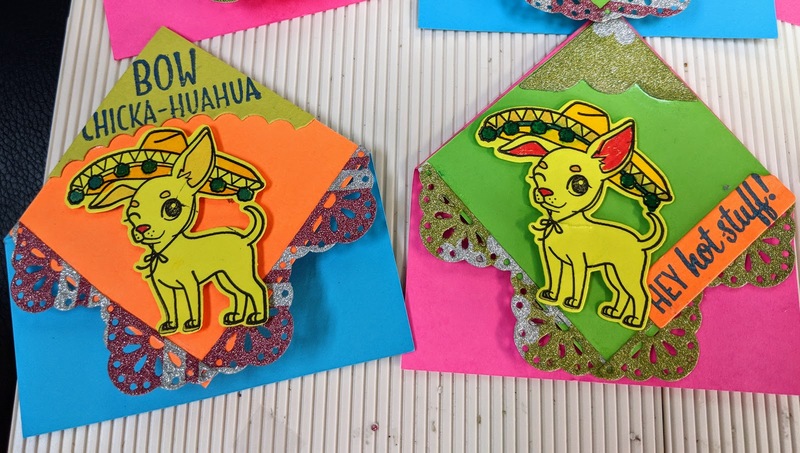 Also the versatility of the corner diecut is just amazing. I hope you enjoyed my bookmarks and that the teachers will too. 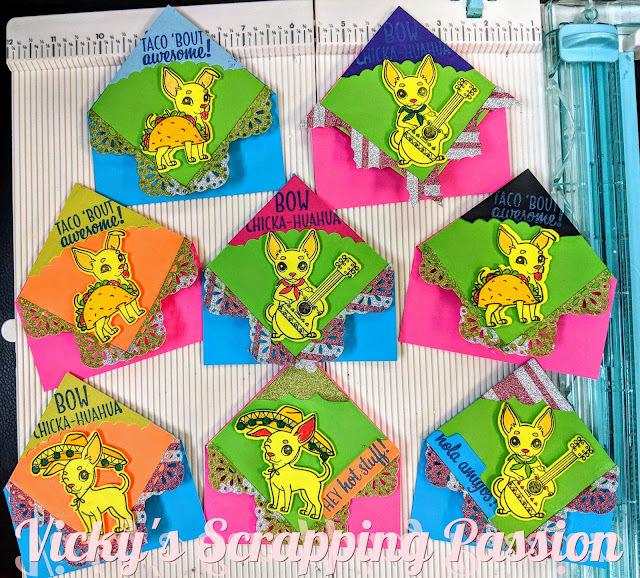 And follow my blog as well: vicky's scrapping passion.